Keeping important items packed in your SUV is important to many drivers—you never know when disaster could strike, after all. Some SUVs, like the Mitsubishi Outlander and Outlander Sport, have plenty of room for drivers to store emergency supplies and other cargo. 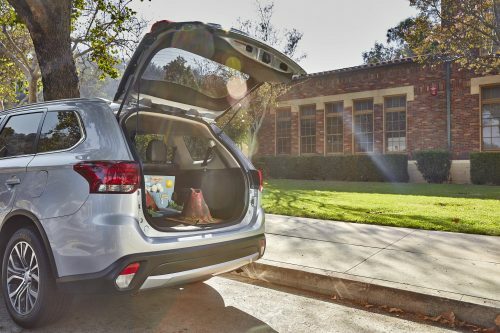 Here are a few things to have packed in your SUV as suggested by us here at Don Robinson Mitsubishi! Spare Tire – While it should be obvious, it never hurts to remind drivers that a spare tire is incredibly important to keep in your SUV. 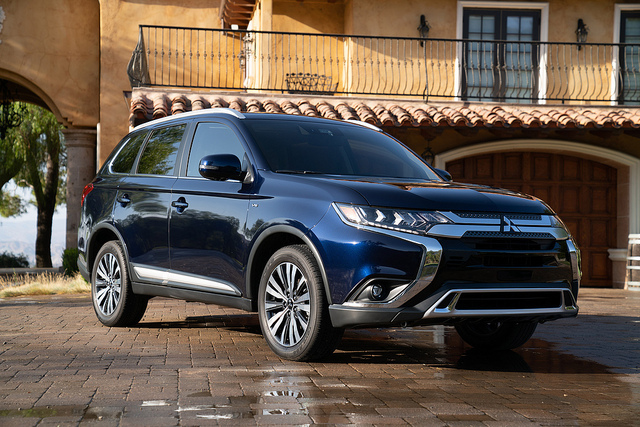 The Outlander and Outlander Sport already come stocked with one, but it never hurts to check on it every now and then, if only to make sure it’s properly inflated. Having tools necessary to change a flat tire wouldn’t hurt either! Emergency Kit – As parents know, kids will always find a way to hurt themselves. That’s why it’s important to keep a fully-stocked emergency kit in your SUV. Fill it with items like bandages, gauze, and other medical supplies. Owner’s Manual – Something every driver should keep in their SUV is the owner’s manual. A literal guide to your vehicle, the owner’s manual offers all the information one could need about dashboard lights, changing a flat tire, and more. Stow the owner’s manual in your Outlander or Outlander Sport’s glove box until you need it! Everything overheats in the summertime — your car, your house, your kids, you. It seems like you can’t keep the air conditioning cold enough, ice cream melts too fast to enjoy, and the pool is too full with other people trying to regulate their temperature. However, you might be taking advantage of the warm weather by bringing your pet dog along for a ride when you’re running errands, but you need to be aware of the risks of your pet overheating, too. Summer pet safety is something that’s often overlooked. The problem with dogs is that their fur holds in body heat. Even if you leave the windows cracked while you’re running into the grocery store, the heat inside of the vehicle can quickly skyrocket. Dogs need air conditioning and water just as much as humans do. Just a half hour of leaving your pet in a parked vehicle can cause the inside of the car to jump to 120 degrees. Shade, low humidity, and watching for heatstroke symptoms — heavy panting, glazed eyes, rapid heartbeat, dizziness, and even vomiting — can help owners take care of their pet. 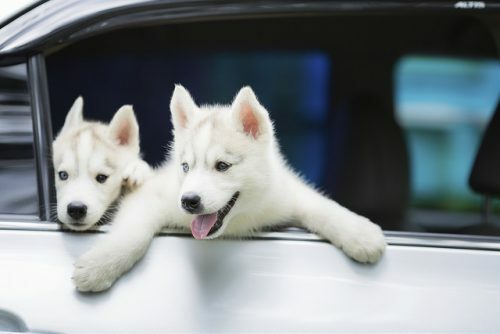 Summer pet safety may seem like common sense, but many people continue leaving their dogs in parked cars in the summer heat, assuming that it’ll just be a quick errand or cracking the windows will be enough to regulate the temperature. The truth is that’s not the case, and keeping your pet healthy will keep them with you for a long time. We love pets here at Don Robinson Mitsubishi and want to do our part to help with Pet Safety. For more information about our local Humane Society here in St. Cloud, stop by the Tri County Humane Society! Hydroplaning can be a scary thing, even though it’s surprisingly easy to pull out of a skid in the rain. Still, it’s best to prevent hydroplaning altogether and avoid the panic that can result from the loss of control of your vehicle. But, the question is, how can you do it? 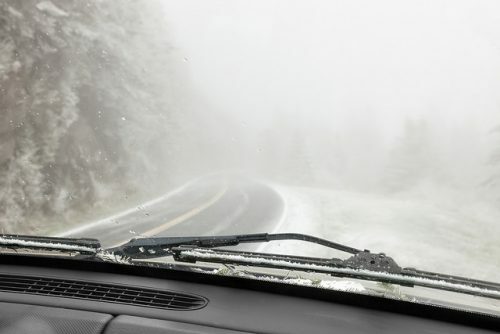 Here are some easy tips that will help you keep control of steering in the rainiest weather. Preventative maintenance is the best way to prevent many kinds of accidents and driving issues, and hydroplaning is no different. If you regularly have your tires balanced and rotated, and you check your tire pressure and add air when necessary, you’re less likely to hydroplane. Also, the higher quality your tires are, the better they perform on wet roads. 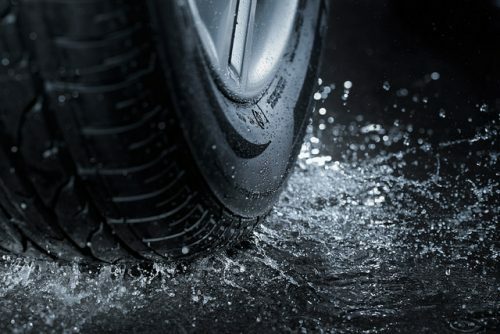 So taking proper care of your tires will help you in many cases, including hydroplaning. When you’re driving in the rain, just go slower. 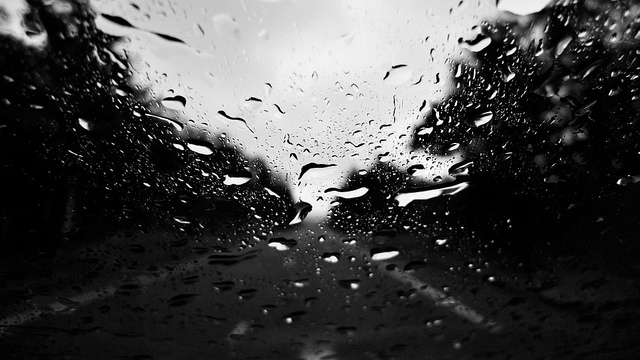 Hydroplaning is most likely to occur at speeds above 35 miles per hour. Driving five or ten miles below the speed limit is a good idea when it’s raining anyway because it will help you to stop more easily, so drop your speed and avoid highways and high speed limit roads. And if you see a puddle, try to drive around it—the deeper the water, the easier it is for your wheels to lift off the road. For more questions about your tires and which ones will help you in most severe weather cases, come see us at Don Robinson Mitsubishi! The Mitsubishi Mirage is compact and affordable, and now, as a top performer in the National Highway Traffic Safety Administration (NHTSA) tests, it is incredibly safe. The Federal New Car Assessment Program (NCAP) crash-test results are out, and the ratings for the 2015 Mirage are impressive. The Mirage earned four-stars in all frontal crash subcategories and five stars in all side-crash testing. Also included is a five-star rating in the side pole test, which simulates a side impact with a tree, utility pole, or other narrow object at 20 mph. When it comes to the subcompact car segment, very few cars are considered top performers in safety tests. The Mitsubishi Mirage’s safety scores prove that small cars do not have to sacrifice safety. Because the Mirage is a budget-friendly car that does not sacrifice safety, style or fuel economy, it’s the ideal car for your teen driver, for your daily commute, or for road trips on the weekend. 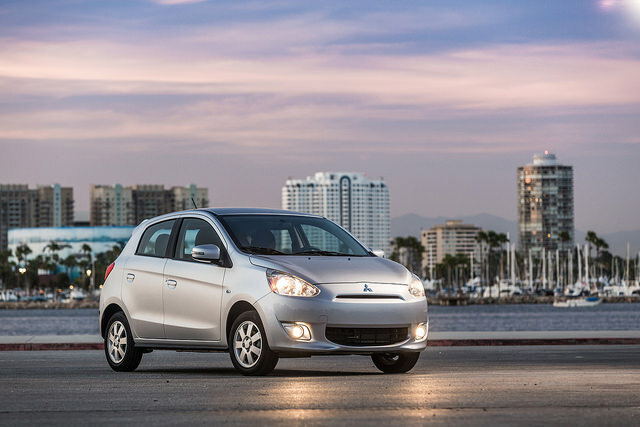 Stop by Don Robinson Mitsubishi today to see the 2015 Mitsubishi Mirage for yourself and even test drive one today! 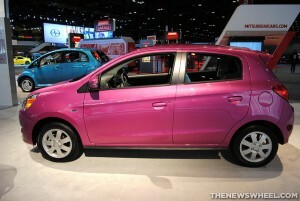 The Mitsubishi Mirage is part of a very specific—and relatively unknown—segment: the minicar segment. These cars, which basically look like a miniaturized combination of a hatchback and a crossover, boast great value at a small price. The Mirage, which is only in its second year on the market, has that in spades—and now it boasts the safety record of one of the safest small cars available today. The Mitsubishi Mirage has great results from both the IIHS and NHTSA testing regimens as a 2015 model. From the IIHS, it earned top ratings of “good” on almost all tests—excluding the small overlap test, on which many small cars perform poorly. On the NHTSA tests, the car earned four-star and five-star ratings on every test, on both side and front crash tests. This added safety makes the Mirage one of the most interesting new models on the roads today, as that safety is tacked on top of great value, efficiency, and style. The Mirage gets a combined 40 mpg, a ridiculously great number that looks even more enticing today thanks to falling gas prices. To learn more about this safe, stylish, and efficient little minicar, come see us at Don Robinson Mitsubishi today.